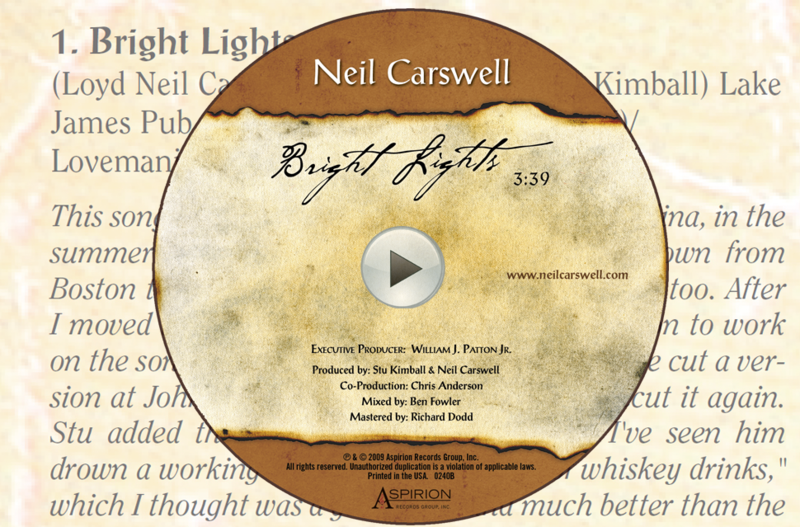 from the album "Keep You Guessing"
from the album "Live & Lost"
from the album "Good Man's Journey"
Carswell has that roughly hewn southern whiskey vocal style that makes all the words come across with maximum impact. I mean you can really ‘feel’ it when he sings. He has a little help from his friends too. Johnny Neel (keyboards, Allman Bros.), Barry Goudreau (guitar, Boston), Stu Kimball (guitar, Bob Dylan), and Chris Anderson (guitar, The Outlaws), lend their experience and tasteful playing to the mix. 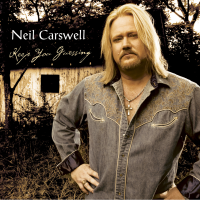 Neil has the kind of power in his voice that brings to mind Gregg Allman, Jon Bon Jovi, and Travis Tritt. He has the blues when he wants to (and when he doesn’t want it) … and he can rock things up. 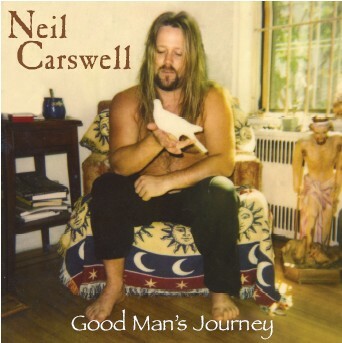 In the liner notes to Good Man’s Journey, Neil Carswell writes that his music combines “a heavy-metal approach with a back-porch vibe.” I couldn’t have described the man’s down-home sound better myself. 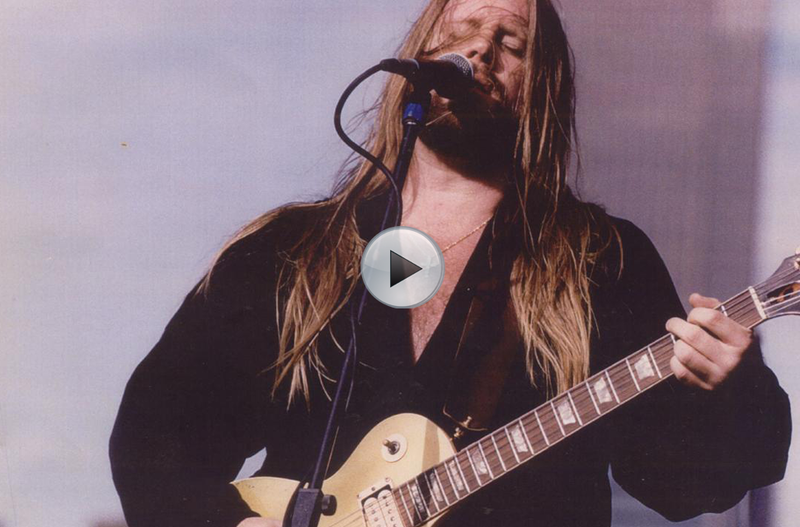 The buzzing guitar sound is cool, and this man sings with plenty of grit and fire. This is the second time we’ve encountered this distinctive stylist, and I’m even more impressed than I was the first time around. Wow, what a song! 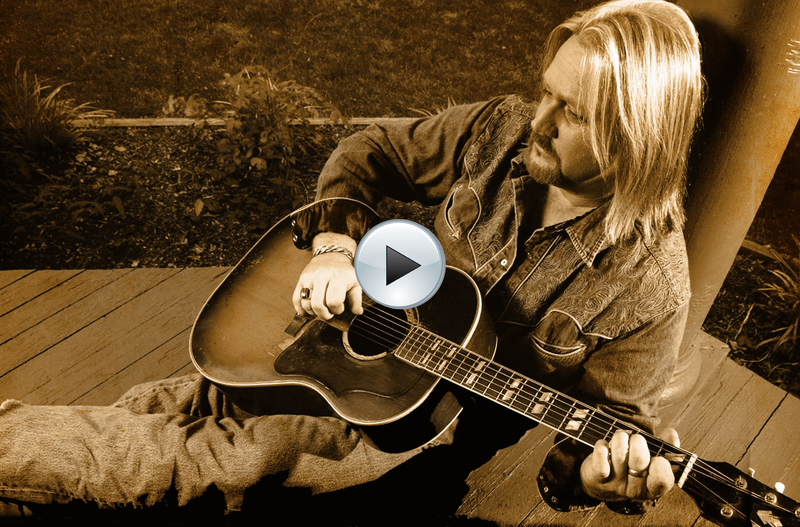 By now everyone knows of my weakness for hard driving country music, and Altar Call is just that – part narrative and part singing, with exceptional production work along with a hook that would get even the toughest country listeners attention this song is sure to deliver with a sound that should be heard more in Christian Country music. Altar Call: The swampy guitar work is cool. The contrast between his deep-baritone, Southern-fried speaking voice and his feathery, raspy high tenor singing voice is kinda freaky. But definitely ear catching. Strangely soulful. 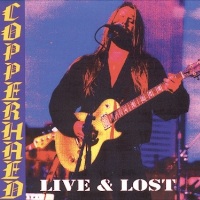 Solo album from the frontman of Southern Rock band ‘Copperhead’ and draws you to his attention from the start with ‘The Cain Preacher’ and keeps you there throughout with his real life stories about livin’ in the South. 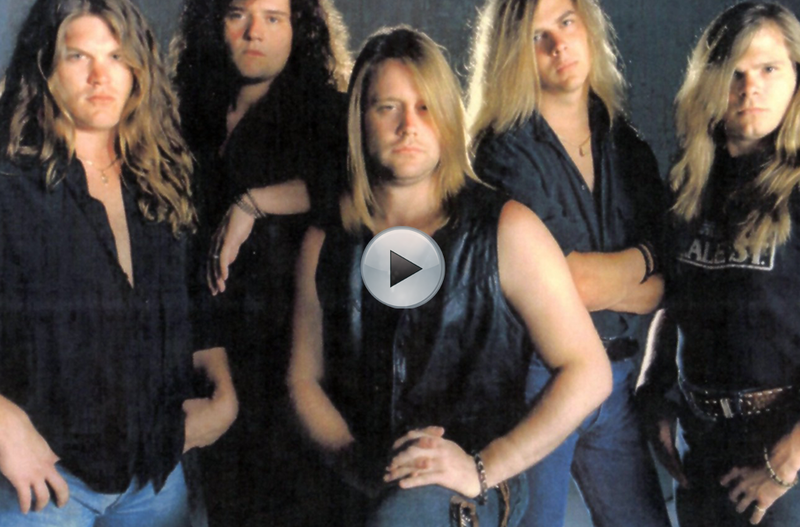 Southern Rock music with a spiritual side. The songs are set mostly against a backdrop of melodic melodies along with elements of Blues. Don’t get me wrong you’ll hear some rocking tracks on this release like the opening one, “The Cain Preacher” with it heavy drumming and rocking guitars. 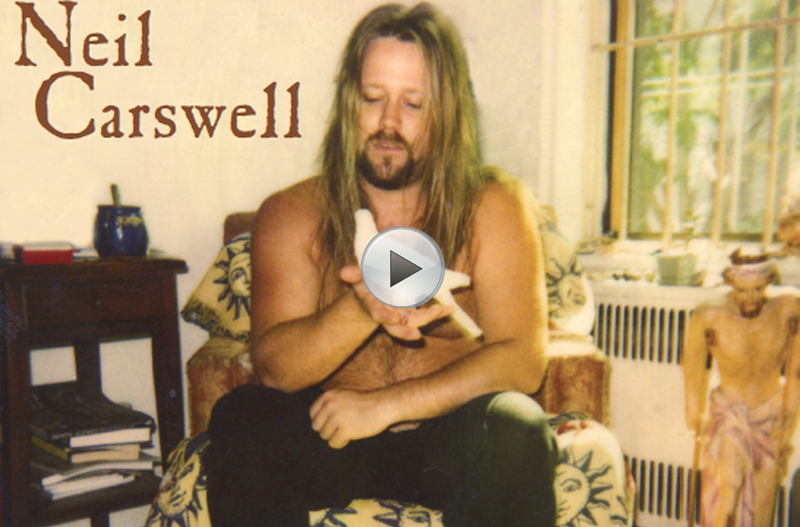 Carswell isn’t out to reinvent the wheel or put a spin on what southern rock is and was, but rather he embraces his influences and brings them to the forefront. 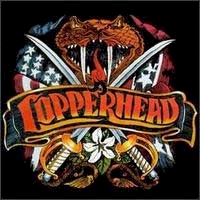 By never straying away from the original sound of the genre this album becomes a refreshing and easy one to listen to for you true southern rockers out there.